Day four of my favorite things of 2017 and we have the sequel to what is possibly my favorite game of all time. Persona 5 finally arrived, and with it a pumped up, grander, more epic, version of everything that made Persona 4 Golden one of my most treasured gaming experiences. 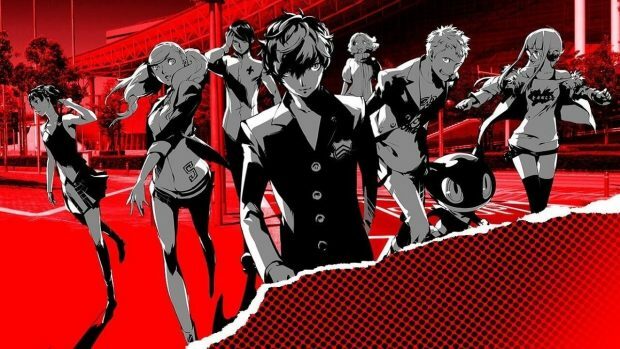 If Persona 5 is your introduction to the Persona series (and judging by sales number that is almost certainly true for the majority of folk in the west), then it is, I am fairly confident in saying, the best of the series. Weirdly however if you had played previous installments, I'm not sure I can say that it was a better game than it predecessor. Don't get me wrong Persona 5 is an amazing game. Like I said, it is certainly the best in the series in terms of quality, scope, and sheer style ... yet ... for me there might just have been too many similarities to the format of Persona 4 Golden, but with a set of characters I just didn't quite connect to in the same way. It clearly has higher production values, and is a true generation beyond the previous games in this series. It is qualitatively the best incarnation of this series ... yet ... I have a feeling this may be the same situation that most of us experience with that other massive Japanese series, Final Fantasy. The first game in the series that grabs you will always hold that special spot in your heart. It simply can't be replaced or superseded. It's like a first crush. In your life you'll invariably have future crushes, you'll probably even meet better matches, but the first? That memory can't be replaced. For me, Persona 4 Golden will always hold that place in my gaming heart. Thus Persona 5 was a great game, but failed to grab my attention in the way it's predecessor did. I played through, and enjoyed it, but I didn't quite do so with the same sheer compulsion that Persona 4 Golden inspired in me. That was just me though. When I heard other folk in the office waxing lyrical about their experience with the game (and there were many of them), it instantly reminded me of how I did exactly the same as I experienced the wonders of the previous game (the first in the series I had played at the time). The game has that. It is a fantastic first experience, a memorable one, in particular at a time when many games struggle to have a unique identity or are afraid to demand a serious time commitment. That said, if you were one of the many who has never played a Persona game - go play it. You're missing out on an exceptionally well crafted game with more style than it knows what to do with. This series has always been unique, interesting, and overladen with overlapping systems in a way that would break lesser games, but here somehow manages to retain a delightful cohesion. It is a long game, you'll put anything from thirty to a hundred hours in before the credits roll, but it's worth it! Easily one of my games of the year.